This is wranglertj's Jeep, not sure on pricing. This is Tiny's Jeep. 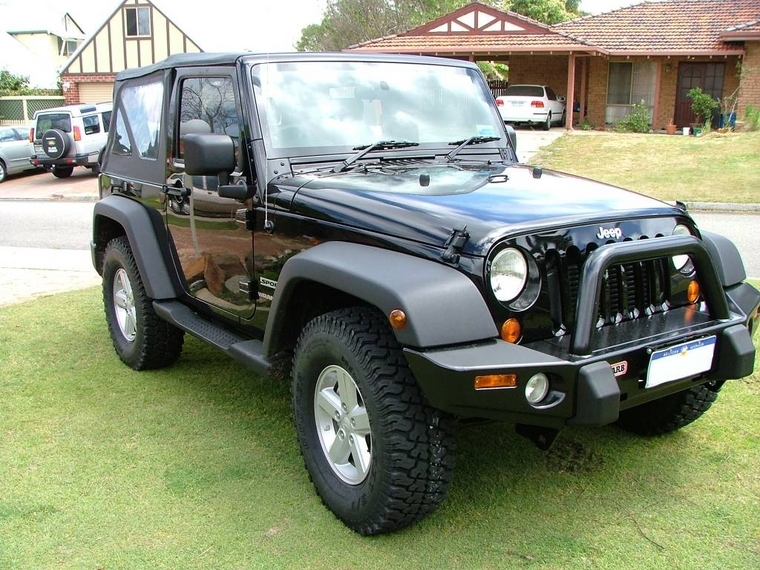 Bar as above is $1175 from Ozadventure4x4. Various configurations available, see Tiny's build up thread or Ozadventure4x4's page for more info / photos. This is Berts Jeep. Bert landed it for AU$900, the winch one would be a little more. The mopar recovery points are extra. This is Silver_JK's jeep. Cost is $1099USD + $180USD shipping. JKohn's Jeep. This would be my first choice but its a little pricey!! Available locally through procomp. My Jeep. This is what I ended up with, its around $1250 including winch cover plate if you fit yourself. Let me know if you find any others and I will update this post. Im trying to fill this post with the bars on AJOR'ers Jeeps so send your pic over if there is currently a catalog picture above. I like the highrock and the shrockrocks. Not sure about the legality of the shrockrocks though not providing coverage at the front for the tyres. #1. Equal first for LoD & Mopar - sorry cant help it. LoD would have been my second choice after Mopar. #2. Shockworks - probaly the best looking stubby out, though as you said, may not look as good on a stockie + legality as tropey said. #3. 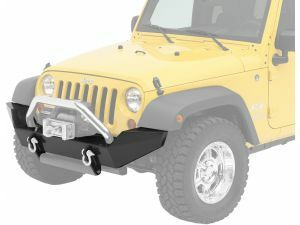 Warn - great looking bumper, I like the fact that it incorporates the stock foggies easily. #4. 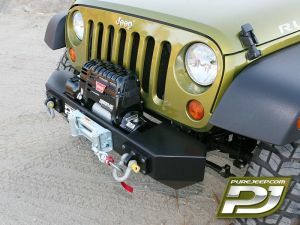 PureJeep - quite simplistic in design, wouldn't offer much protection if you hit a roo! #5. Highrock - i'm not a big fan of this bumper at all, 1# i dont want and chrome or shiny crap on my jeep and 2# it reminds me of our stock bumper too much. I think the Highrocks one may not be compliant as I believe the hoop is inclined forward. 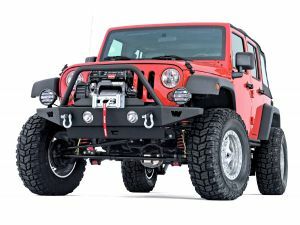 The Mopar and AEV bars (which are in a different price range) are the only ones which incorporate the crush cans, cover the front wheels and have the top of the hoop behind the front of the bar. The problem with ADR would be the non rounded edges of all of these, and any projections on most. With the possibility of ARB coming up with something soon probably worth the wait. The ARB bar for the TJ looks close to what we will likely to get. Frankly ARB is the only one likely to be compiant.ADR compliance for mine is a balance between my need to protect the front of my vehicle, mount a winch if I want and recovery points AND all the other people on the road including pedestrians. Try the link for a read. My favourite is the schrockworks, but looks like it will be the MOpar Bar for ADR reasons. My local dealer is fitting on today to a customers car - will try and get pics..see if any different from US version on berts truck..
For the record the WARN bar is available from www.4wd1.com.au for $1,144 including free delivery to anywhere in Aus (I'm on their mailing list).